Had a pretty decent sized job at a voulenteer ambulance location recently. Took a little longer than I had originally anticipated, but when I did the original walkthrough I had an assistant that I was going to have go around and do the simpiler tasks, such as connecting and mounting the 15 or so VoIP phones while I focused on the more technical aspects of the job. Unfortunately when the job finally was scheduled to be complete my assistant's employment had been terminated, and once again I was left as the only man standing to get the job completed on my own. Originally I anticipated the job to take a day to a day and a half to complete. It actually took about 3 or 4 trips to this customer to complete the job. Granted, 2 of those visits were not full days, because of scheduling restraints involving the customer, as well as other customers requiring service calls. 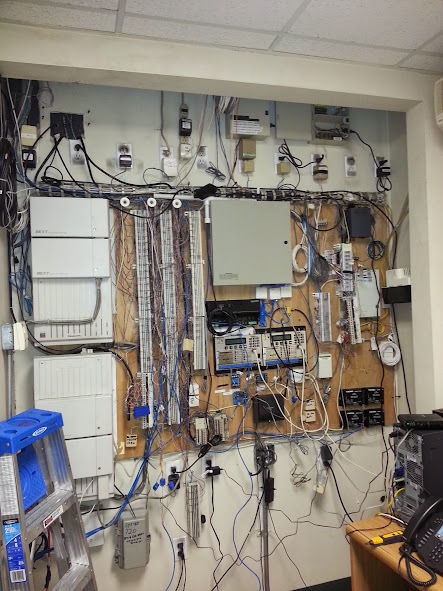 The phones were installed and mounted within a day - including several CAT5 runs that were terminated with RJ11 jacks that needed to be converted over to CAT5 jacks. The most difficult portion of this job was to trace back and figure out the original existing wiring going to each door phone and door release. With the wiring being connected to power transformers, and the PBX station ports it was not possible to use the tracer tone to trace them back. 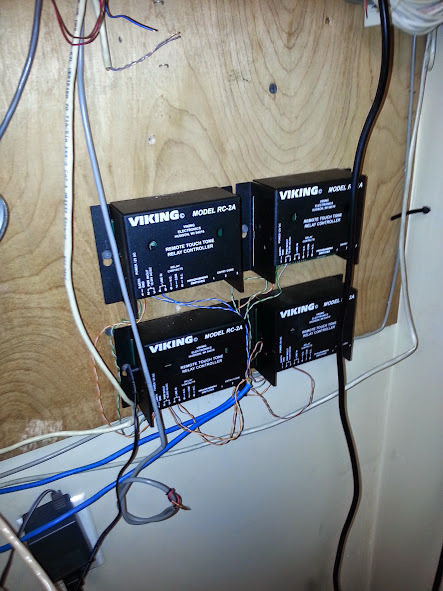 Everything had to be physically traced back to the PBX relays, and confirmed/tested that they worked. This wasted a good part of a day just to isolate, and verify the wiring prior to even being able to replace the existing equiptment with the new equiptment. 2 Hours were also lost when allegedly a transformer was burned out while attempting to trace the wiring back, although I did not locate a burnt out transformer (the original wiring guys came in over the weekend and resolved that issue) Since I do not know the cause, or even timing of the power loss for 2 CCTV cameras and a door keypad I can not accept responsibility for them failing, as they may have stopped working prior to my even begining to work, or they could have been burned out due to some other action from someone else in the building. Stranger things have happened, and when I returned after those issues were resolved I did not see any of the transformers replaced. 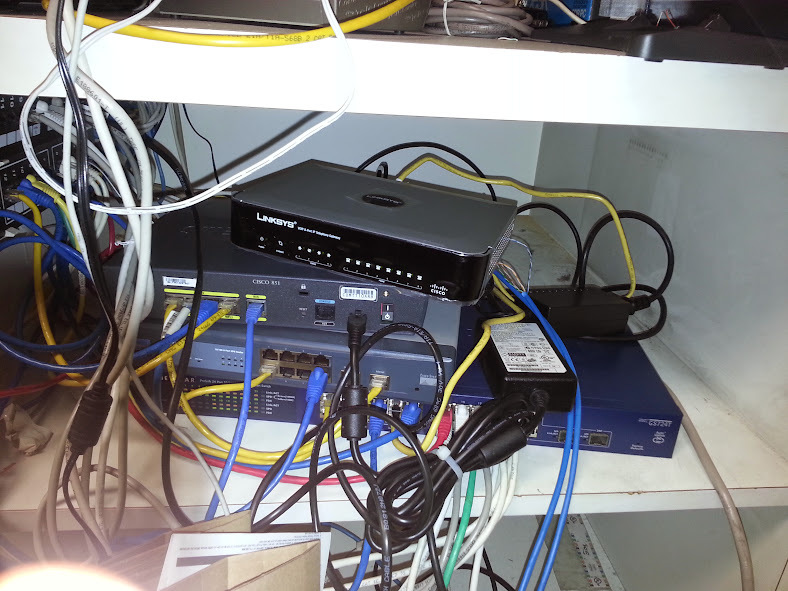 The existing PBX is still in service for a small portion of the building, and may remain as a back up in the event of a failure of their VoIP system - while they do have multiple internet connections, they are on completely physically isolated networks, and not set up on a multi WAN router as fail over. There are also many other systems that come together in this room, such as their card access systems and CCTV systems, so removing and cleaning up the mess that existed prior to my start at this job was not an option, as it would have consumed too much time, and could have had an adverse effect on many of the other systems that this location depends upon, and as stated earlier, it is a voulenteer ambulance garage, so many of the systems are critical. The good thing is that I was able to mount the relays fairly neatly, compared to how most of the other systems wiring was done. in all of this mess. The SPA8000 was installed here. as well as 2 analog extensions on the VoIP hosted PBX system. Why the data network is shoved on a shelf in a spaghetti of wiring and not in a rack enclosure is beyond me, but this is how it was wired, and this is how the route and switch was set up before I got here. So I just installed my SPA 8000 above the network equiptment on this shelf. Also installed are 2 PoE injectors for 2 VoIP phones that were wall mounted. 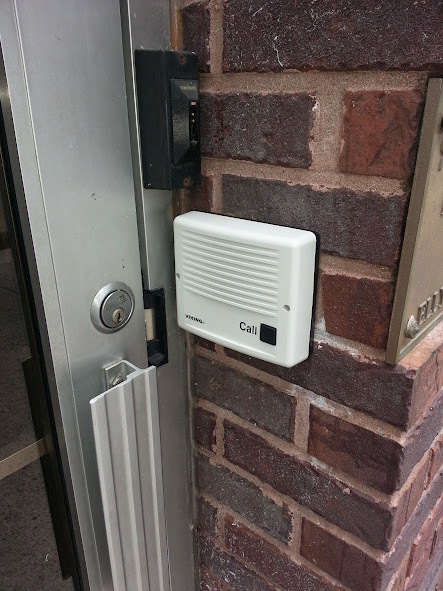 The UTI-1 connects their overhead paging system to one of the analog ports on the SPA8000 to allow paging thru the VoIP system. The existing PBX was not removed from the amplifier, and is still capable of accessing the paging system on a different input of the PA amp. 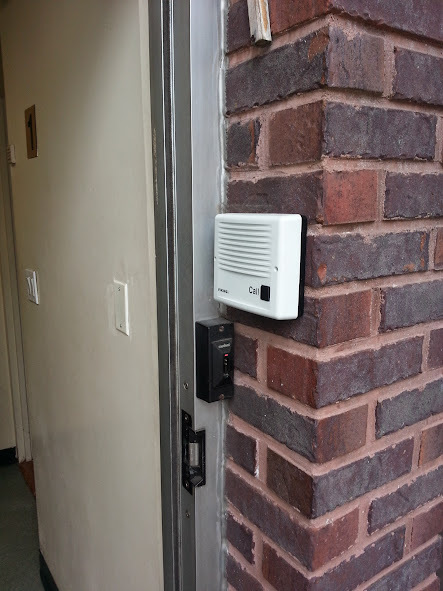 One of the exterior door phones. Ongoing Optimum / Cablevision fiasco..